What is Professional Indemnity Insurance for Independent Contractors? Home › Next Insurance Blog › Contractor › Contractor Indemnity Insurance – What Is It and Why Do You Need It? Independent contractors often have a skill or passion that they want to pursue even if it means not having the kind of stability, job security, and benefits they may get from a full-time job with a big company. Does that sound like you? If so, we admire you for having the confidence in yourself and your skills to make a bet on yourself. At the same time, you should consider protecting yourself with professional contractor indemnity insurance. Like most types of insurance for contractors, you hope you never have to use it, but odds are you’ll be happy it’s there for you if you ever need it. If you’ve never heard of indemnity insurance, don’t feel bad. It’s not one of the more common types of coverage. You may be wondering exactly what professional indemnity insurance is. In short, it’s professional liability insurance for independent contractors. In fact, professional indemnity insurance is often used interchangeably with both professional liability insurance and contractor errors and omissions (E&O) insurance. Different professions will typically prefer to use one term rather than the others. Nevertheless, all three are a form of supplemental insurance for professionals who provide consulting or a specialized service. While general liability coverage will help protect you and your business against claims of physical injury or property damage, professional indemnity insurance is geared more toward mistakes and negligence. A contractor with errors and omissions insurance or an indemnity policy will be protected if one of their clients files a lawsuit against them. That lawsuit could claim any number of things. It could allege that as a contractor you did a job poorly, didn’t follow through on a promise, or were negligent in a way that cost your client money. The contractor indemnity insurance won’t make the lawsuit go away. However, it will help to cover the cost of a lawyer, any courtroom fees, and any damages you may have to pay at the end of the suit. Business indemnity insurance can be useful to independent contractors in a variety of fields. Professionals who work as lawyers, accountants, mortgage brokers, or financial advisors will typically have some kind of indemnity insurance. Even if these types of professionals work hard in the best interest of their client, if they make a costly mistake or fall short of a client’s expectations, they may be vulnerable to a lawsuit. Construction contractors with E&O insurance are another good example of a profession where indemnity insurance is important to have. 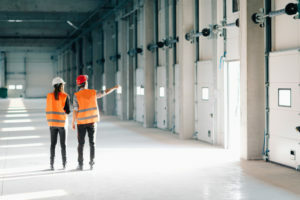 Construction workers can sometimes be prone to careless oversights or may be accused of delivering subpar work, and they could face a lawsuit because of it. General liability insurance may protect construction workers in case of injury or accident. However, indemnity insurance is also needed if they don’t meet deadlines or provide work that isn’t up to the standards of the client. Even if you are an independent contractor in the digital media field, you may be advised to have indemnity protection. Freelance web designers, writers, and marketers can sometimes be accused of defamation, plagiarism, or copyright infringements, leading to an unexpected lawsuit. For contractors who work with intellectual property in any way, having indemnity insurance can be a good way to protect yourself. The list of contractors professional liability claims examples can be almost endless. Depending on the exact nature of your work, complaints like negligence, a breached contract, not complying with regulations, leaked information, plagiarism, failure to meet a deadline, and countless other complaints can potentially lead to a lawsuit, giving you a lot of reasons to consider protecting yourself with professional liability insurance. Like most forms of insurance, contractor indemnity insurance is not something you think you’ll ever need, but you could be glad to have it if you do need it one day. Sadly, freelancers and independent contractors can be sued just as easily as large companies. Even if you’re not at fault, if a client feels wronged in any way, they can file a lawsuit against you. Without indemnity insurance, the cost of fighting a lawsuit, even a completely frivolous one, will be your responsibility. You could lose money out of your pocket, lose valuable time that you could be working, and have damage done to your reputation. You should also know that some businesses won’t hire contractors who don’t have professional liability insurance. If you make a mistake while performing work for a company, they could be held responsible as well. This makes some companies reluctant to hire contractors without indemnity insurance. So, if you don’t have insurance, you could be missing out on opportunities. Of course, even if your clients don’t require you to be insured, you may feel better knowing you have a safety net. You may have confidence in your skills and abilities, but contractors tend to take on a lot of jobs and can sometimes have a small margin for error. Without indemnity coverage, one little mistake or slip-up can end up costing you, even if you feel you did nothing wrong. For most contractors, it’s best to have the protection of indemnity insurance, just in case.